Harwich bed and breakfast travel guide for romantic, historic and adventure b&b's. 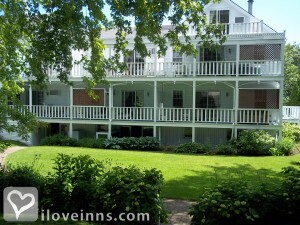 Browse through the iLoveInns.com database of Harwich, Massachusetts bed and breakfasts and country inns to find detailed listings that include room rates, special deals and area activities. You can click on the 'check rates and availability' button to contact the innkeeper. Enchanting Harwich captures all the wonders of Cape Cod in one beautiful location. The birthplace of the cranberry industry and home to many of the revered sea captain's houses of the 19th century, Harwich is steeped in the history of the Cape. Many of these historic sea captain's houses have been restored into exquisite inns, such as The Platinum Pebble Boutique Inn. Harwich is blessed with three picturesque harbors, where yachts and charter boats bob with the pulse of Nantucket Sound, and with many of the finest fine dining restaurants on Cape Cod serving up the locally caught fish. If not enjoying the water, Harwich days can be spent exploring the Rail Trail bike route, which meanders through Harwich on its way to the National Seashore in Wellfleet, exploring the Conservation Trust areas for hawks and other wildlife, golfing at Cranberry Valley golf course or simply enjoying the many sandy beaches that Harwich has to offer. Stop in at the Harwich Chamber on route 28 in Harwichport for more information. By The Platinum Pebble Boutique Inn.